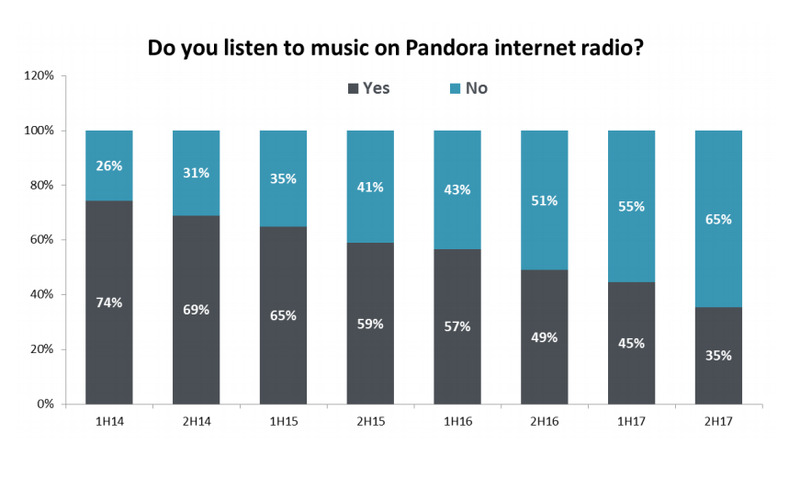 Internet radio service Pandora has been bleeding users for multiple quarters. New CEO Roger Lynch wants to turn that trend around. 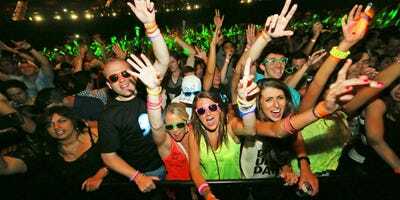 The startling indifference of teens to the service, however, could sink that effort. Internet radio pioneer Pandora took a beating on Friday, as its stock plunged around 25% after a dismal Q4 revenue forecast. And there’s a sign that more trouble is on the horizon: teens are fleeing the service at a staggering rate, according to a recent survey by Piper Jaffray. Pandora has gone through a flurry of changes over the last year, both in management and strategy, culminating with a CEO change in which cofounder Tim Westergren stepped down in June, and was replaced by former Sling CEO Roger Lynch in August. In Lynch’s prepared remarks for Pandora’s earnings call Thursday, he acknowledged that he had a tough road ahead of him — “tangible challenges,” as he put it. “First, it is essential that we stabilise and then grow our base of listeners,” Lynch said, after saying that Pandora’s “user base has declined in recent quarters.” That’s true. At the end of 2016, Pandora had 81 million active listeners, whereas it now has 73.7 million. That is a troubling trend for investors. But how can Pandora turn things around? Lynch suggested a few things. He mentioned looking at “new forms of content,” like podcasts or “spoken word.” He also brought up leaning into voice-activated devices, like the Amazon Echo, and bringing better features to Pandora’s ad-supported tier to compete with services like YouTube. But none of these are clear game-changers, especially in light of how quickly Pandora’s popularity is eroding with teens. In its semi-annual survey of US teens released last month, Piper Jaffray asked the question: “Do you listen to music on Pandora internet radio.” Only 35% of respondents said “yes.” If you want some context for how brutal that is, think about early 2014, when 74% answered “yes” to the same question. On-demand music services like Spotify, YouTube, and Apple Music continue to gain market share among teens, according to Piper Jaffray. But some analysts are wary of Pandora’s advertising prospects.